To be held at: West Berkshire (M4 Junction 12) Moor Cops Nature Reserve. This general training day is aimed at all levels of HPR breeds. Come along and see if you enjoy it or work on problems that you have. accompanied by a cheque made payable to “Hungarian Vizsla Club”. Dogs are to be kept on leads at all times except when working. Please clear up after your dog. Neither the Hungarian Vizsla Club nor the landowners accept responsibility for injury, loss or damage to persons or property or dogs however occasioned at this event. Field Trials have developed to test the working ability of Gundogs in competitive conditions. Trials resemble, as closely as possible, a day’s shooting in the field and dogs are expected to work with all manner of game, from rabbits and hares, to partridges and pheasants. 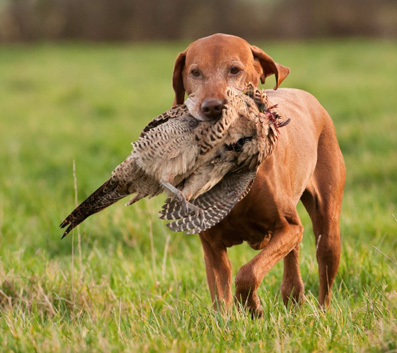 For the Breeds which hunt, point and retrieve (HPR’s), the trials are designed to test the ability of the dogs to quarter the ground systematically in search of quarry, to point game, to flush on command, to be steady to flush, shot and fall, and to retrieve tenderly to hand on command from both land and water. 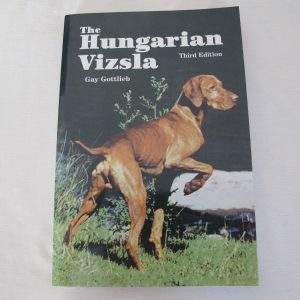 The Hungarian Vizsla Club organises both field trials and gundog working tests and details can be found on these pages. The HVC held a water training day with Allan Hender in West Berkshire, the weather was kind to us and it did not rain until the very end of the training. Unfortunately the original water training area was not available to us and we therefore trained at the West Berkshire Gundog Club training ground which has a fast flowing river and to ensure that there was not too much hanging around we also done some general training. Arron Busby came along to photograph the day. Allan was taking the hunting and we had a fabulous wind blowing just right to encourage hunting and to see the dogs natural ability. At lunch break the HVC provided cakes and soft drinks. 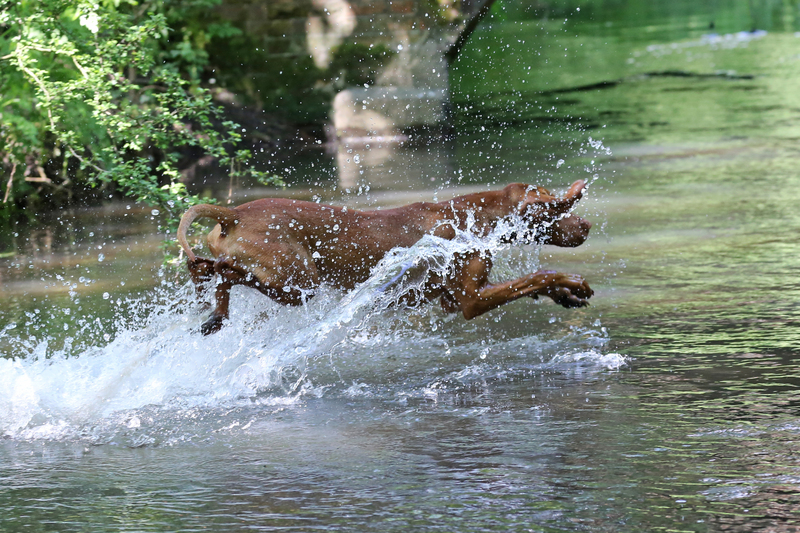 In the afternoon the dogs could do a water retrieve from a different entry on the river. Hungarian Vizsla Club Secretary. Derek Whitfield.